The Silly is Coming! The Silly is Coming! 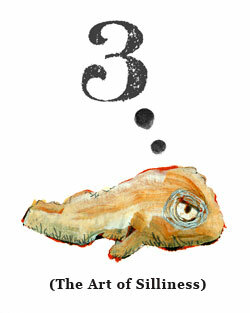 It’s that time again… the third installment of “The Art of Silliness” starts in just a few days! 4. The drawings you create are meant to be silly: not perfect + not stressful = FUN! 1. January is the PERFECT time for an online class, and it’s just $25! Click here to Sign up! Sign up!! Sign up!!! Hello! The class has officially “started,” but you are welcome to sign up anytime until Feb. 3rd and work at your own pace! I am convinced..just signed up for your class. Bring on the silliness!!! waiting waiting waiting. need the downloads. Thank you for the Silly Limerick. I’ll print it out and pin it up to remind me when I’m having a pilly day. My husband gave me “Drawing Lab” for Christmas – what a wonderful gift that was. So with the “Silly Limerick”, “Drawing Lab”, and the anticipation of both “Silly the Third” and “The Sketchbook Challenge”, 2011 is already off to a great start! Tee hee. So excited for silly. But no problem with silliness ! i just got your book (and blogged about it today) – I’m only on exercise #1 but I LOVE IT! thank you for sharing your creative energy and gifts with us. Beautiful book…well done! Hi left a message this morning, which has not appeared yet, saying I couldn’t register through the link on this page. So I just wen to your blog directly (not through google link which takes to carlasoheim.com) where there was a different image – Garibaldi – (not fish? shown here) – and I was able to sign up – the fee was $25, wasn’t it $30 through the link on this page? Anyway…..paypal says I’m signed up!! It should be $25 everywhere… thanks! Just to make sure I’m not loosing it 🙂 I clicked on the sign up link on this page and got that message again that the action could not be completed. Thanks Anna Maria… I checked the link and fixed it. So sorry! Pot’s right. Deal me in! Couldn’t sign up through this site either. Thanks for the heads up… link is fixed… and sorry to scare you away!